Our company has achieved laurels in offering Talc. S Tri Calcium Phosphate to the clients. 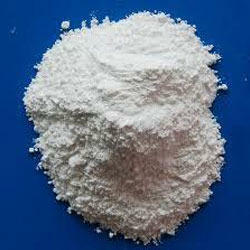 - Tricalcium phosphate is used in powdered spices as an anticaking agent. It is also found in baby powder. We export superior quality buffalo/ox horn, bone, hooves meal, crushed, grist, bone ash etc. We offer Cattle Bone Powder that is processed from original cattle bone. This Cattle Bone Powder is available in different quantity packaging. 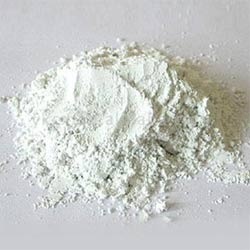 Moreover, the clients can avail Cattle Bone Powder at affordable prices.bone powder manufacturers in Uttar Pradesh, Bone Powder Exporters in Moradabad. Our clients can avail from us Tri Calcium Phosphate, which is also known as bone ash or Tribasic Calcium Phosphate. Processed under hygienic conditions, it is stable under different climatic conditions and conforms to international quality standards. It is non-toxic and is used as an anti-caking agent in powdered spices. We are a leader in offering a best quality of Bone Ash to our clients. They are highly useful for the crop and increase the protein content in them. It is produced under the able and professional guidance of our strong team of experts, which strictly adheres to international quality. Being a foremost organization in the industry, we are actively engaged in trading the best quality range of Beta Tricalcium Phosphate. It has been under the direction of our team of professionals, owing to whose direction we have been able to deliver a really genuine series of Tricalcium Phosphate. - Loss on Ignition: 17.5 Min.